Aspen Retirement Limited offer brand new retirement apartments and in some cases, bungalows, with communal facilities, in convenient locations. All this without the maintenance to worry about! Many of the developments have extra support, with 24-hour staff and additional care available should you need it. More than just sheltered accommodation, our apartments give you the benefit of your own front door with the security of having others around you. 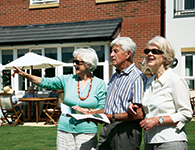 With retirement homes located in Worcestershire and the West Midlands you will find Aspen retirement homes are ideally situated. Aspen is a division of Stepnell, who are family owned and well respected in the building industry with 140 years of experience and are immensely focused on continually working to achieve high standards of quality and attention to detail. We firmly believe that Aspen Retirement Limited and Aspen Extra Care Limited offer you the right choice for your future. 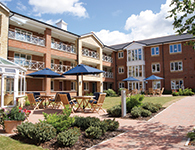 You will retain your independence by owning your own home and in an Aspen Extra Care Limited development, have the peace of mind that a range of services are available for you when you need them. Have a look around our website to find out more about us or call us on 0800 023 4670 and we’ll be happy to answer any questions you have.